The second novel in a two-part Typhon Pact adventure set in the universe of Star Trek: The Next Generation. After the disastrous events in the Bajoran system, Captain Benjamin Sisko must confront the consequences of the recent choices he has made in his life. At the same time, the United Federation of Planets and its Khitomer Accords allies have come to the brink of war with the Typhon Pact. While factions within the Pact unsuccessfully used the recent gestures of goodwill—the opening of borders and a joint Federation-Romulan exploratory mission—to develop quantum-slipstream drive, they have not given up their goals. Employing a broad range of assets, from Romulus to Cardassia, from Ab-Tzenketh to Bajor, they embark on a dangerous new plan to acquire the technology they need to take control of the Alpha and Beta Quadrants. While UFP President Bacco and Romulan Praetor Kamemor work feverishly to reestablish peace, Captains Sisko, Jean-Luc Picard, and Ro Laren stand on the front lines of the conflict . . . even as a new danger threatens the Bajoran wormhole as it once more becomes a flashpoint of galactic history. Sela’s boot heels clacked on the stone floor, sending echoes along the narrow tunnel through which she walked. Two men from her security detachment followed behind her at a distance, their own footfalls adding to the cacophony in the enclosed space. Set into the walls at long intervals, lighting panels did a barely sufficient job of banishing the darkness that gripped the ancient subterranean passage. The recirculated air caressed the exposed flesh of Sela’s face with an uncomfortable chill, like the threat of an ill wind as the sun sets and the night impends. The chairwoman of the Tal Shiar led her guards at a brisk clip, striding with determination toward a meeting she had never wished to have, but for which she had still developed contingencies. Her mind brimmed with broad facts and intricate details, with unanswered questions and necessary suppositions. Sela had always understood the possibility that she might have to deliver the report that she carried with her on a data tablet, and so she had planned for it, but she didn’t like it. To her way of thinking, the word contingency equated to failure: one need enact a secondary plan only if a primary plan has not succeeded. But now two of my stratagems have failed, Sela thought, her jaw tightening. She remained uncertain how far back the latest events had set her. She had already lost so much time thanks to the incompetence of the Breen. Sela had helped the Confederacy purloin Starfleet’s schematics for the quantum slipstream drive, only to see the Federation mount a covert operation and eliminate everything the Breen had subsequently accomplished, including not only a slipstream-equipped prototype vessel, but all copies of the drive plans. You will have to work harder than all the others, her father had always told her, and he had been right. As a half-breed, born of a human mother, Sela had found it impossible even to trade on her father’s rank and position—General Volskiar had commanded IRW Victorious through many successful campaigns—and so she’d had to work from the periphery. But she internalized her father’s wisdom, and never undervalued the importance of sheer diligence. Before rising to chair the Tal Shiar, Sela had served as a personal operative to the praetor, and before that, as a proficient officer in the Imperial Fleet. Throughout her career, she advanced as the result of indefatigable effort, and as she did so, she learned the value of careful planning. But she had never anticipated the ascension to the praetorship of somebody like Gell Kamemor—a nonbeliever in Romulan exceptionalism, and an apologist for, and even an appeaser of, the Federation. And Sela never could have foreseen the string of events, improbable in the aggregate, that had allowed it to happen: the assassination of nearly the entire Senate; the descent of Shinzon into madness; the Remans’ successful struggle for independence; the schism of the Empire into factions led by Tal’Aura and Donatra; and the need for the Romulan people to accept nutritional and medical assistance from the Federation. Even after all of that, it had still required the deaths of both Tal’Aura and Donatra; the death of one of their likeliest successors, Senator Xarian Dor; and the deaths of the war hawk Pardek and Tal Shiar Chairman Rehaek—only then had enough opposition fallen to permit the elevation to praetor of a populist like Kamemor. Sela reached the heavy door standing closed at the end of the tunnel, a bright lighting panel in the ceiling above it reflecting dully off its satin-textured metal surface. She reached up and placed her hand on the security plate beside the door, knowing that she’d already been under surveillance for some time. After the many lethal disruptions of the government in recent times, the Senate had increased security considerably—though not always visibly—in and around the Hall of State. The scanner emitted a yellow glow as it examined Sela’s hand. On the screen beside it, her image appeared, along with the details of her service record. As always when she saw herself, Sela noted the alienness of her own features: eyebrows that hugged the lines of her eyes, the flatness of her forehead, the shocking yellowish color of her hair. She despised the human elements of her appearance, the details that set her apart from her fellow Romulans. Yet she had chosen never to alter them, never to surgically effect the changes that would allow her looks to fall within the Romulan norm. Instead, she let her differences drive her to overachieve, and she chose to project the impression that her differences made her better, that they singled her out as an exceptional individual among an exceptional people. The door slid noisily to one side, withdrawing into the wall. Sela turned back to face her guards, who could proceed no farther. She nodded curtly to them, then paced through the door and up a set of worn stone steps. The Tal Shiar chairwoman strode through the door at the top of the stairway and into a circular courtyard. Night had established itself earlier, and the silver orb of Elvreng had risen high in the sky. The pale light from Romulus’s second moon filtered through the windows in the cupola that topped the courtyard, draining the color and contrast from the scene. Between the doors that ran along the perimeter, white beams of light reached upward, the indirect illumination further brightening the area, but restoring none of its tint or texture. Sela crossed to the set of tall, wide wooden doors that dominated the courtyard, to where a pair of uhlans stood watch. In the ashen light, the chairwoman could discern the faces of the two guards no more than she could the elaborate scrollwork in the doors. Still, she knew the names of the two men—Voster and Strak—and could run down both their professional and personal histories. The idea that power relied on knowledge had been a cornerstone principle of the Tal Shiar since its inception. “Chairwoman Sela to see the praetor,” she said, identifying herself to the guards, although in addition to recognizing her, they also would have been informed in advance of her late visit. “Praetor Kamemor is expecting you, Chairwoman,” replied Uhlan Voster. He turned and, beside the doors, pulled twice on a braided rope that Sela knew to be gold, but that looked white in the moonglow. Then he leaned into the large doors, which slowly opened inward, and he stepped aside. Sela passed between the two guards, who then followed her inside. As the doors closed decisively behind her, she peered around the praetorial audience chamber. Gell Kamemor had inarguably altered the character of the place during the six hundred days of her administration. Although pairs of columns rose majestically all around the room, creating niches filled with artwork and reaching up to a magnificent mural on the ceiling, the once-regal setting possessed a commonplace atmosphere. Despite the gleaming black surfaces of the floor and walls, despite the throne that sat on a raised platform at the far end of the room, the large conference table and the chairs arrayed around it commanded the space and marked it as a simple, workaday venue. Stark white lighting buttressed the utilitarian effect. Such details, Sela knew, had always troubled Tomalak. He did not go so far as to suggest that appearances trumped substance, but he did believe that such things mattered, particularly for somebody in Kamemor’s position. Sela did not concern herself with such minutiae, but she could not argue that the praetor succeeded in delivering a message with the refashioning of her audience chamber. The chairwoman did not see Gell Kamemor. As Sela moved farther into the room, the praetor emerged from behind the dais, where an entrance led into Kamemor’s private office. Though more than a couple of decades past her first century, the praetor maintained a healthy physique, and her lustrous black hair had not yet begun to gray. She wore traditional robes, of a gray that matched the color of her eyes. “Chairwoman Sela,” Kamemor said as she crossed in front of the dais. Never once in the many times Sela had met with her in the audience chamber had the praetor sat in her throne. “I trust from your sudden request for a meeting at such a late hour that something of considerable import has brought you here.” She spoke with an ease that suggested word of events in Federation space had yet to reach the Hall of State. The praetor seemed thunderstruck. She stood speechless for a long moment, then pulled out the chair and slipped down onto its seat. When she peered up at Sela, her complexion had taken on a ghostly pallor. “How many dead?” she asked quietly and without inflection. “Yes,” Sela confirmed. She expected that the praetor’s ire would only increase. “We don’t have word on that yet either,” Sela said. Sela had known that the praetor would raise the question. Before she answered, the chairwoman pulled a chair out from the table, turned it to face Kamemor, and sat down herself. She glanced again at her data tablet, as though confirming the facts she intended to impart. Kamemor stood up, holding Sela’s gaze as she did so. Then the praetor turned and walked calmly back in the direction from which she’d entered the chamber. For an uncomfortable moment, Sela thought that she intended to leave. Instead, Kamemor stopped along the wall, in a bare alcove between two sets of columns. There, she placed her hand flat on the wall, and a panel slid upward to reveal a communications console. She touched one of several buttons on it, then waited. “I’m sure you do,” Kamemor said without turning from the communications console, which suddenly blinked to life. Even at a distance, Sela recognized the unruly head of gray hair that belonged to Proconsul Anlikar Ventel. “What’s happened?” Ventel asked, sounding more alert. “Praetor, what—” Ventel started, but Kamemor cut him off. Kamemor reached up and touched a control. The display went blank. Leaving the panel open, she walked back over to face Sela once again. “Do you know what’s going on?” she asked the chairwoman. The flatness of her voice made it difficult for Sela to know whether or not she intended her words as an accusation. Under the semblance of innocence, Sela chose to interpret them as a simple question. “No, Praetor,” Sela said, acting appropriately chastened. She had never seen the praetor so upset. Sela said nothing. She herself did not understand how Kamemor, so clearly an intelligent woman, could not see the tremendous threat in allowing the Federation and its allies to sustain a first-strike capability, which the slipstream drive provided them. If the Khitomer Accords powers—which included the overly aggressive Klingon Empire, a sworn enemy of Romulus—ever chose to press that advantage, the price paid in Romulan lives would prove horrifying. But Sela said none of that, knowing that any attempt she made even to explore the possible motives of the “rogue elements” would eventually bring her under the praetor’s scrutiny. “Should that name mean something to me?” Kamemor asked, walking back over to the table. Fortunately for Sela, the praetor left starship assignments and other such matters to the Imperial Fleet—though, when it suited her purposes, the chairwoman did not. “Before being promoted to command of the Eletrix, she served as second-in-command aboard the Dekkona,” she said. “It seems an unlikely coincidence,” Sela observed, knowing well that T’Jul had never been involved in planning either the operation at Utopia Planitia or in the Gamma Quadrant, but had merely been following orders. The assignment of Eletrix to the latter mission, though, and therefore of T’Jul, had been the result of careful planning. The chairwoman had not anticipated failure, and certainly nothing on as grand a scale as had occurred, but she had contrived to send Eletrix on the joint mission with Enterprise for the specific purpose of having T’Jul available as a scapegoat. That T’Jul had likely died in the battle at the wormhole only amplified her value in that role. “Is there anything else I need to know?” Kamemor asked. “No, Praetor,” Sela said. The operation had failed, but at least the chairwoman would not need to contend with the complications that would have arisen had any of the personnel or vessels involved been captured. “Keep me informed,” Kamemor said. Sela nodded her acknowledgment, then stepped back and headed for the doors. One of the guards opened them for her, and she exited into the courtyard. In seconds, she had picked up her security detail and started back through the underground tunnel that had brought her to the praetor’s audience chamber. By the time she boarded the shuttle that would return her to her office at Tal Shiar headquarters, she’d already decided to move forward with her next attempt to obtain the quantum slipstream drive from the Federation. 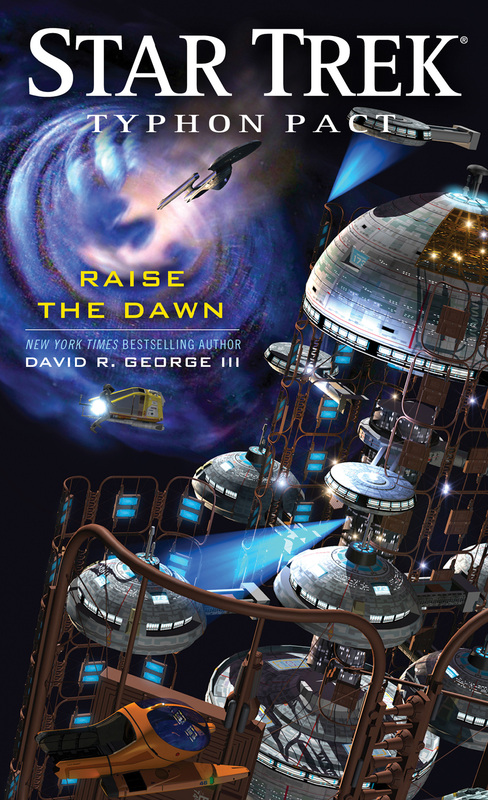 David R. George III has written more than a dozen Star Trek novels, including Ascendance, The Lost Era: One Constant Star, The Fall: Revelation and Dust, Allegiance in Exile, the Typhon Pact novels Raise the Dawn, Plagues of Night, and Rough Beasts of Empire, as well as the New York Times bestseller The Lost Era: Serpents Among the Ruins. He also cowrote the television story for the first-season Star Trek: Voyager episode “Prime Factors.” Additionally, David has written nearly twenty articles for Star Trek magazine. 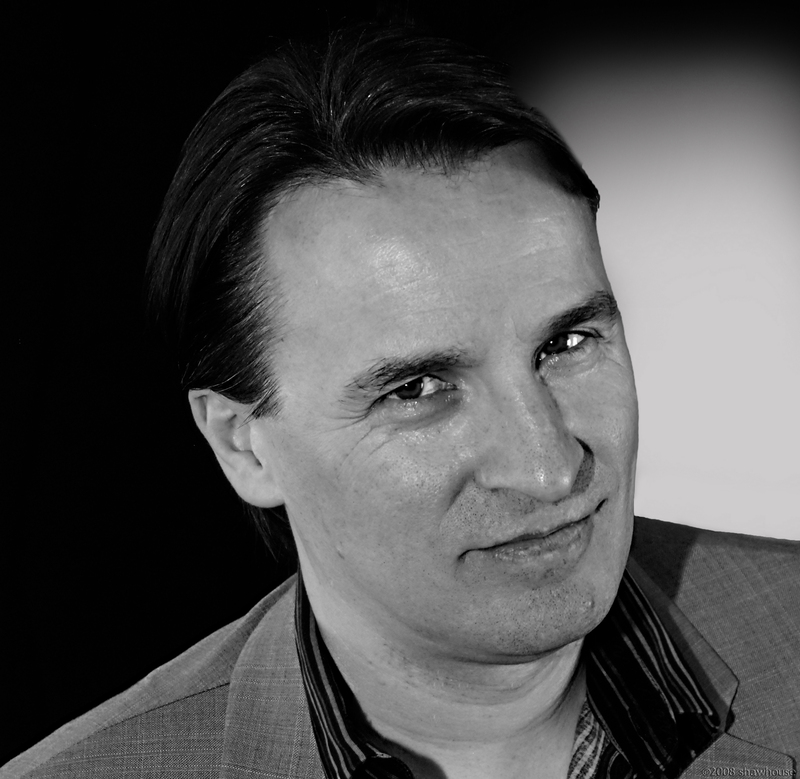 His work has appeared on both the New York Times and USA TODAY bestseller lists, and his television episode was nominated for a Sci-Fi Universe magazine award. You can chat with David about his writing at Facebook.com/DRGIII.